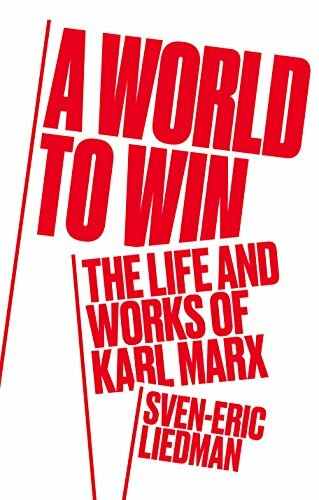 Sven-Eric Liedman’s A World to Win: The Life and Works of Karl Marx, is a remarkable and timely contribution and achievement. It is a comprehensive analysis of Marx’ entire work, including letters, his exhaustive notes on what he read, pamphlets, newspaper articles, political addresses, and books. Liedman’s 700-page book includes meticulous documentation and an index in which many of the items are defined. In addition to his mastery of Marx’s texts, Liedman has extensive knowledge about Marx’s times: the philosophies of Hegel and Feuerbach, the major liberal economists, 19th century European science/technology and culture, the various schools of socialism, anarchism, and communism, and of the major 19th century socio-political events. Liedman details Marx’ remarkable breadth of inquiry and analysis, which included chemistry and physics and the evolution of species, plus sociology, anthropology, and political economy before these were defined disciplines. In addition, Liedman’s descriptions of Marx’ character and his personal life are helpful but also circumspect. He writes that Marx could be scathing and ruthless such as his attacks on Bakunin and Proudhon, but he does not quote these passages. Above all he presents Marx as an indomitably researcher into the total social reality and historical roots of the radically changed 19th century. Organizing and selecting from Marx’s work will inevitably bring disagreement. Liedman sharply draws a division between Marx’ social and his political contributions. He writes of Marx as a meticulous historian who was not dogmatic or deterministic. “Marx built no system. He was, on the other hand, constantly working on his grand theory of society . . . he formulated what he called his ‘thread’ through the research. . . . Marx warned against temptation of finding a formal schema in his work. Only careful study of the full diversity of reality provides real knowledge”. Marx developed profound insights about the class conflict arising from the industrial revolution, capitalism, and in reaction to the French Revolution which unleashed a far-reaching counter-revolution. Marx’s exacting historical analyses were works in progress and often took many years to complete (or were left incomplete), whereas his political writings were more speculative and reflected the rapidly changing tactics and ideologies of current events (e.g. the 1830 and 1848 revolutions and the Paris Commune). He was hopeful that technology and science were tools that would lead to social progress. By the 1840s, people on both the left and right saw that more intense trade, growing industry and rapid communications was creating a new type of poverty, giving rise to continuing impoverishment in large groups of the population which could turn into open revolt. Marx did not foresee the destructive applications of technology or the extent to which knowledge itself could be commodified. Marx saw class struggle as national only in its form and international in its content. He discerned the expanding hand of the market, crossing all borders. Marx spoke about the state needing to be transformed, becoming only an administrative unit, and that the wealth produced by labor needed to be returned to labor but also used for public goods and for people unable to work. Under capitalism, Marx saw that workers became poorer the more they produced and that they themselves became a commodity. It was at this time that Marx as journalist turned his focus from challenging philosophical abstractions to challenging a law protecting the bourgeois land rights over the customary rights of small farmers and the poor to pick berries and collect brushwood from the forest: he wrote of the “petty, wooden, mean and selfish soul,” the “vicious materialism” that was taking command of the public sense of justice over the “hunger and other hardships” of the poor. He sharply criticized “utopian socialists” for their simplistic analyses of economics and social class and for their ignorance about history. His understanding of people went beyond surface description of behavior such as in his full statement on the “opium of the people”: “Religious distress is at the same time the expression of real distress and also the protest against real distress. Religion is the sigh of the oppressed creature, the heart of a heartless world, just as it is the spirit of spiritless conditions. It is the opium of the people.” In much of his writing he explicitly criticizes the individualism of liberal and conservative philosophy. There is no human “essence” separate and above historical context and social relationships. The book is replete with clarifications and precision. This detailed study of Marx is of invaluable help in providing tools to discern ideal, illusion, and delusion from reality. It affirms the capacity to know what is real and objective and to arrive at what needs to change.